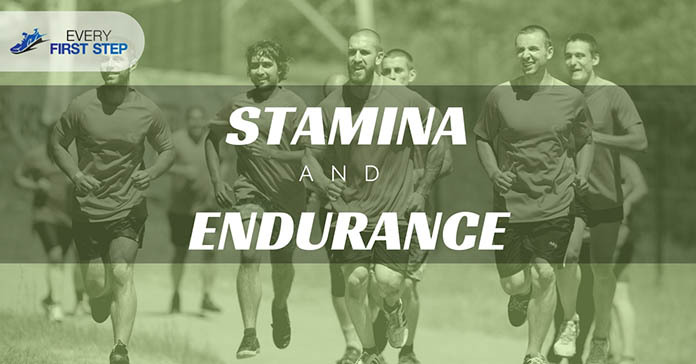 In your running program, you probably often hear the words ‘stamina’ and ‘endurance’. For all athletes, these two qualities are extremely important however many people don’t understand the difference between the two. Being able to have clear in your mind the difference between stamina and endurance is the key to improving your running program and getting the results you desire. In this article, we will explain the difference between the two and how you can use this information the next time you run. Why Do We Need Stamina ? Stamina is closely connected to strength but has another factor added to it namely, time. Another way to think about it is stamina is that it is a combination of endurance and strength. Basically, this means that not only can you run slowly for a long time (endurance) but you can run fast for a long time. In a physical sense, stamina is the ability for your heart and lungs to continue to function normally when doing physically taxing activities. When your body is able to withstand fatigue, stress, pain and other factors and still complete a task, it has developed physical stamina. These are runs that are done for 20-30 minutes or your normal running time but faster than normal. An example of these is repeating a fixed number of running distances again and again. ​The best way to differentiate endurance from stamina is that it is closely related to time. Unlike stamina, endurance refers to the maximum time your body can maintain a certain action or pace. Stamina is about performing at the highest capacity whereas endurance is maximizing the time you can run regardless of the capacity. ​For beginner runners, developing endurance is one of the ways to reduce the risk of injury. In order to develop better endurance, two steps are recommended especially for beginners. This will allow your body to recover and get used to the new mileage and adjust to new training stresses. Running too quickly for a long time abruptly will only result in injury. Since running puts tension on the muscle and connective tissue, it is important to train these areas with other workouts. Aerobic exercises such as pool running and cycling are recommended because they imitate the action of running and train your muscles to endure. Get a heart rate monitor to monitor your heart rate after exercise. Then target about 50-80% of your maximum heart rate when you exercise. Do strength exercises at least 30 minutes a day. These may include pull-ups, squats lunges, and the like. Try high intensity workouts. Interval training not only helps boost metabolism but can help improve endurance. Incorporate cardio exercises. Combine strength exercises with cardio. For example, do some pull ups, then go for a sprint and return for a bench press. Get quicker feet. Simply run for about 20 yards with the shortest yet fastest stride you can. Make sure to lift your feet fast off the ground when doing this. Rest and repeat this up to eight times. ​The idea is to train as many of your muscles as possible by varying the kind of physical activity you do. This will enable you to increase your stamina and endurance. The difference between stamina and endurance is small but significant. Your ability to develop both will greatly improve the quality of your run and ensure that you get the most benefits from it while reducing your risk of injury. Aside from the mentioned tips, experts also recommend that you make every workout count, run long and slow and eat have a healthy diet. What has helped you build your endurance when running? Did we leave out something important? Please comment below. How Many Miles Can You Walk In A Day? Find Out! Do You Wear Underwear With Running Shorts?